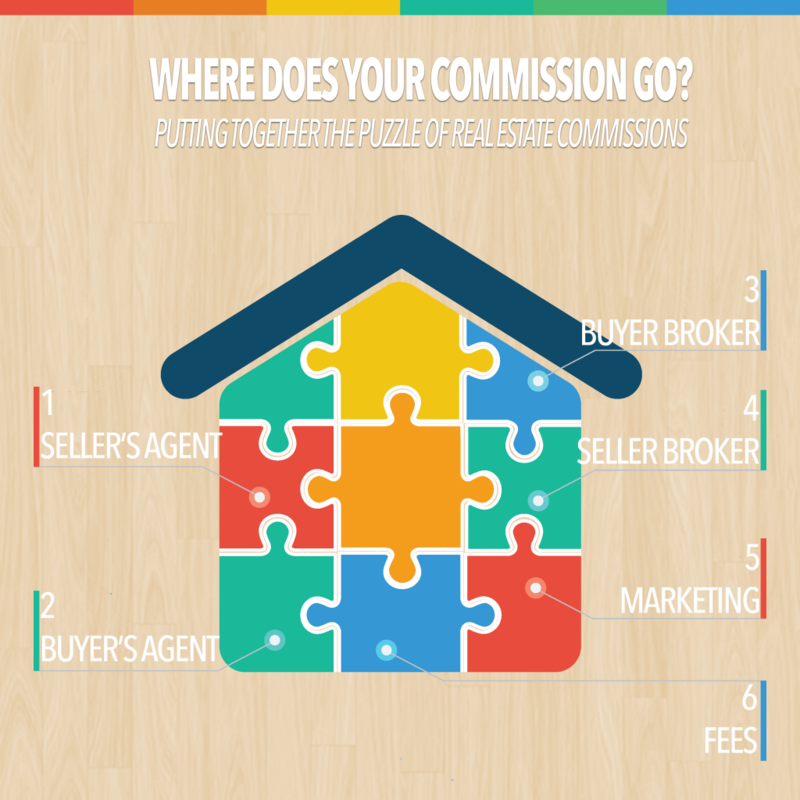 Where does your commission go? It’s your money, why not keep it? The truth is, parting with money that you can’t see a direct return for is always hard. But where does your commission really go? The answer is, a lot of places. And you are putting a lot of money on the line, shouldn’t you entrust it to someone who is reliable and responsible? First, the commission is a percentage paid based on the price of the home. Generally, a full service agent gets a 6% commission which is split between the buyer’s agent, the seller’s agent, and both of their brokers. Career real estate agents, the ones with the most knowledge and experience, aren’t offering any discounts, even though there is a lot of hype around “discount agents”. Real estate agents work for brokers and each are licensed by their state. The broker acts like an umbrella company and the agent is essentially a salesperson. Once a sale is made, the broker is the one who receives the commission and divides it among the four parties that get pieces of pie. The broker’s all have separate agreements with their agents to determine their splits (generally either 50-50 or 40-60) so it is most likely that your agent is receiving much less than 3%. 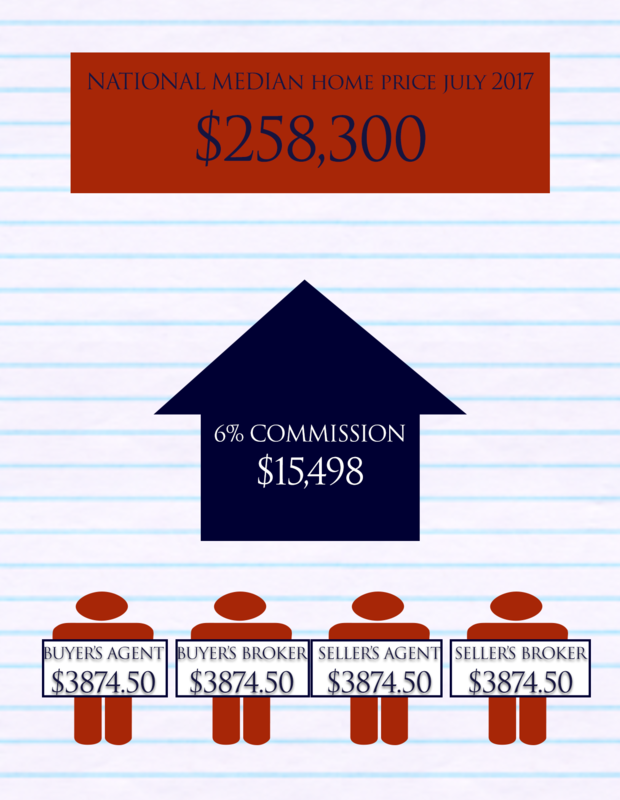 Nationally, the average agent makes around $45,000 a year according to Payscale. In the D.C. region, agents make $50,000 on average. So clearly, your commission isn’t going towards a maserati or vacation home. Lets break this down further. The median sales price for July 2017 is $258,300. Typically, this is split four ways between the buyer’s agents, seller’s agents, and their brokers. The split between the broker’s and agents is dependent on each contract, but let’s say it’s a 50-50 split. That means on the 6% commission of $15,498, each gets $3,874.50. I think we can all agree that this isn’t unreasonable for months worth of work! Real estate agents are vital to the process – they facilitate negotiations, manage paperwork, do all the marketing, and handle the close. Basically they are essential for making your transaction run smoothly. For what is arguably the biggest sale or purchase of your life, I think shelling out some money to keep things on track is worth it!